Anything in a list that’s not 5 or 10. A Twitter marketing campaign reaches influencers and users alike with a few simple steps and can propel your business with more click-through rates and engagement. Part 1 in a series this month discusses how to begin your marketing strategy. True, Twitter does have 23% of online users and claims a younger demographic; however, new users (men and those 65 and older) are setting up accounts every day. Taking advantage of this growing audience can be as easy as following the prompts to setup Twitter Ads and posting between noon and 6pm during the week. Brand advocates are created all the time by engaging influencers in a conversation, re-tweeting posts, creating mentions, and by having valuable, personal and persuasive content in your tweets. Twitter is also creating new ways to advertise all the time. Over the next few weeks, we’ll cover how you can create a Twitter marketing campaign and bring your business to the forefront of social media. In this post, we cover the first two steps in your strategy – defining your object and making the marketing plan personal. Twitter. Write posts based on the company personality; add a human element to the business. Keep the content personal but professional. Create a “voice” for the organization and make it consistent. If you are a company that does accounting, but you want to come across as accessible, reach your audience with some fun tips or a training video on how to record their monthly expenses. Maybe create a few tweets linking to the simplest and most used apps for money management: “Don’t be stressed during tax time 2016! Use XYZ.com to download the best apps to record your expenses all year long!” The content is engaging, helpful to the user and interesting because it will solve a problem for them. No sales pitch – just a personal conversation about fixing a problem. Along with sharing unique content, you need to speak with your audience as you would a close friend. Use plain language, pull large industry-only words, slang or lingo out of your Twitter vocabulary; you need to make your audience feel like you understand them, not that you must be the smartest person in social media. Save the industry jargon for your next convention! Be personal and personable, but skip the self-promotion. Users want to read valuable content and become genuinely interested. Defining goals, making the content personal and creating a voice for your company are just the first steps in getting your marketing strategy going strong. In Part 2 of this series this month, we will discuss how to get your audience engaged and generate leads from that engagement. One of the biggest things holding back most businesses is disorganization and lack of focus. In my business counseling career I’ve seen businesses on the brink of failure due to disorganization and lack of focus; so, let’s tackle these issues one at a time. Disorganization as definded by Websters dictionary: to destroy or interrupt the orderly structure or function of. This doesn’t just apply to a messy work environment, disorganization applies to the work environment, staff, managers and owners. When you are disorganized an inherent lack of focus automatically exists. When is the last time you spent more than five minutes looking for something, just to ask yourself “what in the heck is it doing there? !” When’s the last time you had a deadline fast approaching, and panic set in because you felt “rushed” even though you had two weeks prior to finish it only to put it off because you had more pressing things to do! 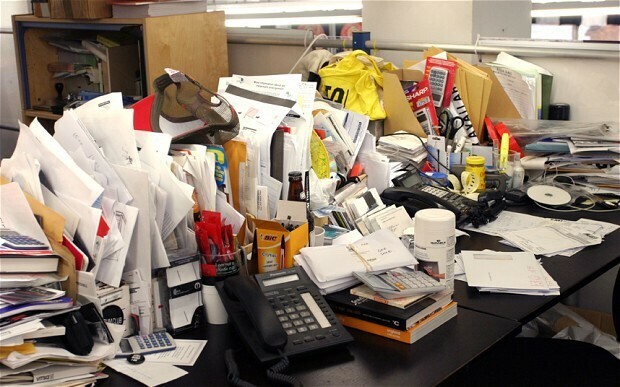 This type of disorganization causes the business owner to feel as though they are always “putting out fires”. We’ve all seen the business owner who’s so busy, exclaiming “time is money” or “nickel holding up a dollar,” running around barking orders at anyone who’ll listen, then spend twenty minutes trying to find something in their cluttered office or digging through their work truck looking for a tool. This type of disorganization will cost you far more money than the hard working employee you’re so sure is “wasting your time”. Here are some great tips for getting organized! http://www.entrepreneur.com/article/82924 let’s take a couple of pointers off this list, and get organized today! I love FileHippo. It’s a great place to find the top business apps and, grab any of your favorite downloads, and they house older versions of all of the software they host. Which is fantastic for a variety of reasons we won’t get into right now! I bring up FileHippo because I recently realized that they have a tech blog, TechBeat News. They’ve compiled a list of the 10 best business apps for 2015, and while I don’t agree with all of their choices and exclusions (I would have included Evernote and Google Sheets), these are some great apps. Download some and give them a shot. I’m downloading Turbo Scan as we speak. Leave a comment here or on Facebook and let us what apps you’re using for your business. Inc.com has a magnificent article on financial mistakes new business owners must inevitably face. Filed under hard knocks, this list is a great example of what kind of problems inexperience brings. How many of these things have you encountered in your ventures? Let us know in the comments. New Year’s resolutions are a time-honored tradition stretching back as long as anyone can remember. They’re also the first promises broken in the new year. But business owners and entrepreneurs have different standards to live by. That’s why it’s always interesting to look at what they’ve pledged to bring into the new year. An article published in Business News Daily asked 15 entrepreneurs what their resolutions for 2015 were, and the results were interesting. The replies, from digital marketers to clothing line owners, ranged from economic growth to team appreciation. Not all of these goals can be applied to your business, but give the article a once over. See if one of these resolutions doesn’t peak your interest. For more articles like this, check us out at www.purpletieguys.com.